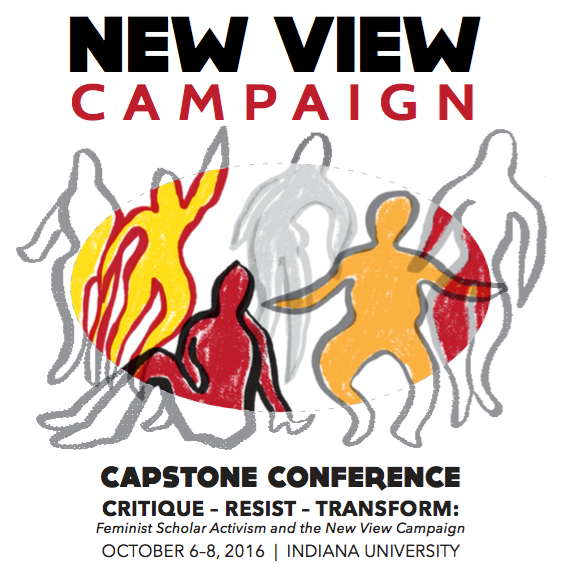 The October, 2016, New View Conference in Bloomington, Indiana was the Capstone conclusion to our Campaign. We have provided on this page links to the PROGRAM, PHOTOS, and PDFs of conference PRESENTATIONS. The PROGRAM contains a full list of co-sponsors, exhibits, conference organizers and volunteers, participants in the Talking Timeline, and a directory to presenters. This page also has a link to a 15-minute VIDEO that celebrates both the Campaign and the Capstone conference; it can be used in many different classroom situations. The conference was an event of commemoration, celebration, and continuing analysis of the issues that concern us. We ended the conference, and the campaign, with a very special GALA that is shown in the VIDEO. The newviewcampaign.org website will remain as an archive of our work together over the past decade. Its links, including that to "Dr. Vajayjay" and other videos, should continue to work indefinitely. The New View Campaign has a rich and substantial physical archive at the Kinsey Institute at Indiana University in Bloomington.